How Did Your Home's Value Change? WE WILL FIERCELY ADVOCATE FOR YOUR BEST INTERESTS! Why do we love living here and being owners of Palos Verdes Homes? I've been a resident of Palos Verdes since 1968 attending 6th grade, graduating from Palos Verdes High School, graduating from UCLA and then coming back to Palos Verdes Estates to begin my real estate career in 1980. 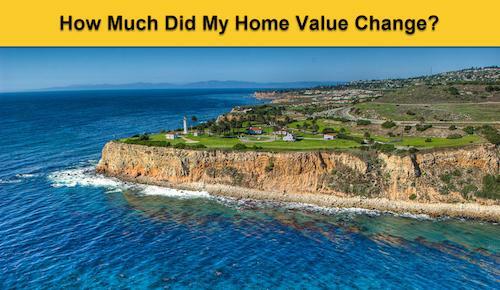 Talking with thousands of people and many hundreds of clients has confirmed for me what I've always known about owning any of the many fine Palos Verdes homes. We appreciate our strong school district ranked in the top 100 of all districts in these United States, we love our clean ocean breeze swept air, we love our approximate 70+ miles of hiking and equestrian trails, we love our quiet, peaceful, safe cities and bedroom communities and we love the strong sense of neighborhood that exist in the many varied neighborhoods here in Palos Verdes. From Palos Verdes ocean view homes in Palos Verdes Estates to the ranchos in Rolling Hills, there really is something for everyone. And, as "boring" as we might be, we have some great restaurants, and entertainment centers too. I can't wait to talk with you more about our many different communities. Meanwhile feel welcome to explore this website and if you own one of the many Palos Verdes homes and want an estimate of Palos Verdes home values, you will see a tab here to engage a few widgets to check and balance. Use the "Contact" button you will see on the bottom left of this page and feel welcome to explore my A.I Bot on the lower right. 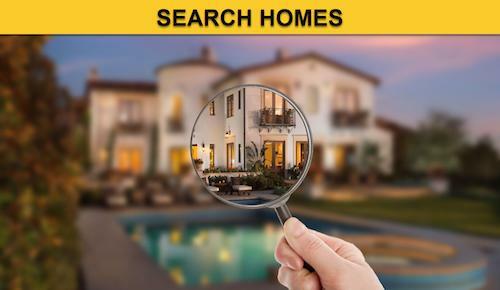 There are 3 main categories on this Palos Verdes homes website: 1) Hover your mouse over "All Areas" and pick an area about which you'd like to learn more. Don't forget to scroll down to view the market charts 2) Getting market trends to help you figure out the direction of prices for Palos Verdes homes so hover your mouse over the "Sellers" tab and click the first link under Palos Verdes Real Estate Trends 3) Figuring out what a buyer might pay for Palos Verdes homes so hover your mouse over the "Did My Home Value Change" tab. I strongly encourage you to play the video on the first link in that tab, the Video Overview of the Tools 4) Palos Verdes homes have appreciated signficantly in the last 50 years and while market cycles go up and down, one thing is immutably true. You could have purchase a home at just about any time, even the apex of any market cycle and if you had waited 10 years before selling - you made money. I'm not aware of many communities across These United States where buying real estate is so safe. 5) If you're thinking of selling and beginning to feel stressed out, go here and after reading these tips, see how much you have in common with so many of my past clients. Read what they were concerned about and know there are solutions to reduce the stress of selling your Palos Verdes home. Lastly, don't forget to try out my A.I. Bot on the lower right corner of your screen. Click the circle and start asking some questions.